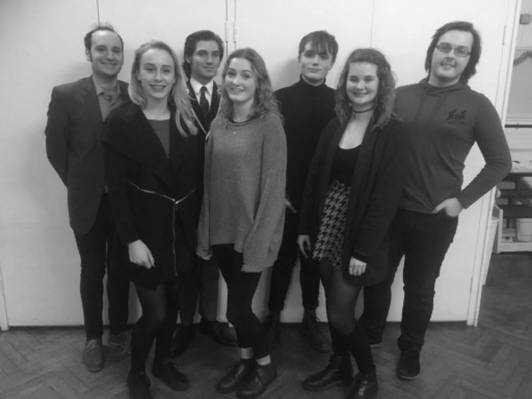 I meet the cast of Punk Rock just as they conclude their penultimate rehearsal before the show goes up the following week; and from the look on director, Josh Picton’s, face I can see that everything certainly seems to be going to plan. Josh appears to be very pleased with how the rehearsal's full run has gone and tells me that he only has ‘a few notes’ to give to his actors. 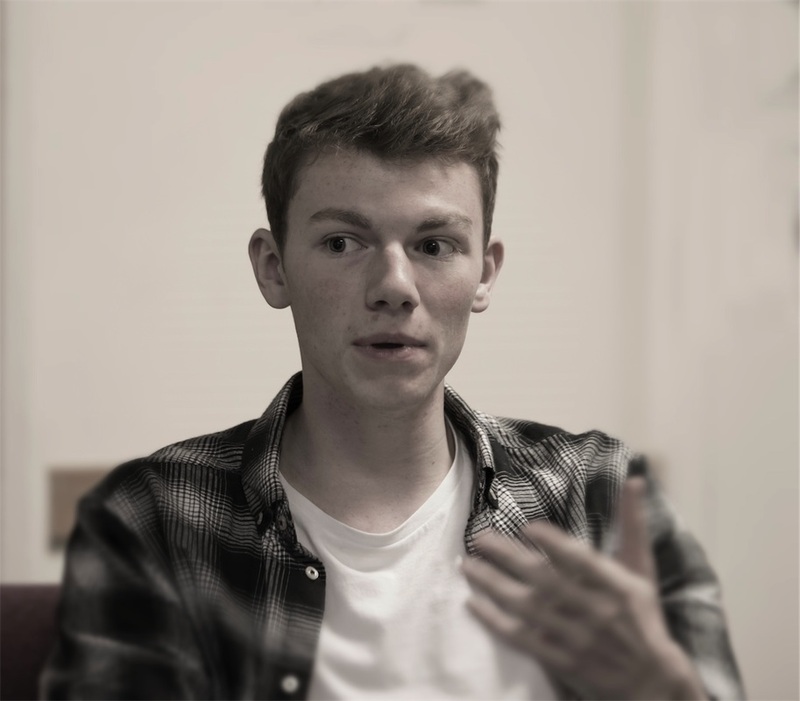 Although the set is predominantly a ‘box set’ Josh tells me that he has devised quite a lot of the play where parts of the set will be moved around by the cast, which will create a different dynamic to the production and make it feel less static. 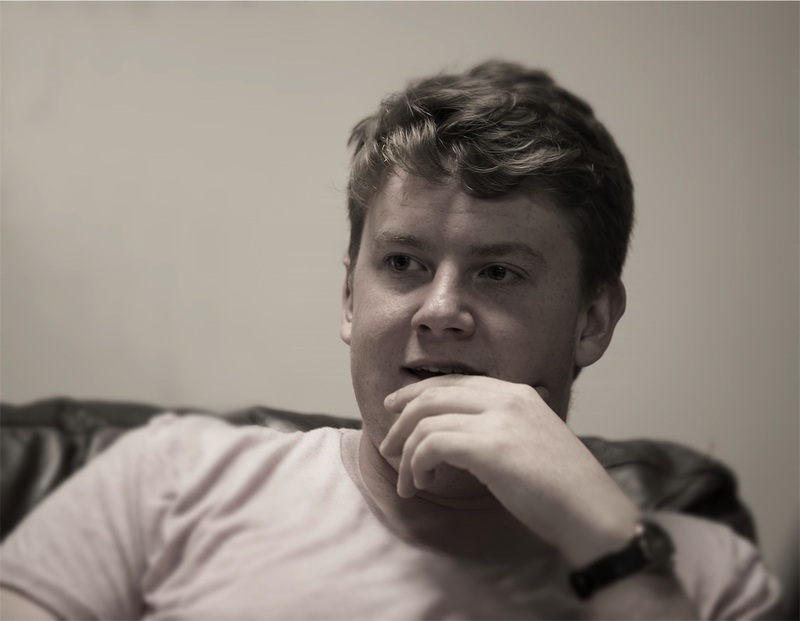 The set is something which has kept Sam fairly busy. “I’ve been working really hard on this set,” he explains, “It’s probably the biggest set we’ve had to make as it has windows, doors and also a corridor as part of it.” Sam’s mum will probably be quite pleased when the show goes up as Sam tells me that half of the set is currently in her lounge! If anyone thinks that Simon Stephens' name sounds familiar this is probably due to the fact that he also wrote the award winning play, The Curious Incident of the Dog in the Night-Time and Josh admits that he is a huge fan of the playwright. In fact Motortown was the Stephens’ play that inspired Josh to want to become an actor. Also aiding their decision to put on Punk Rock as their next production, Harry tells me that he did the play at school as part of his A Level Drama Syllabus and although a lot of the bad language in the play was cut out of the play for the exam by the school, Triple Helix have made the decision to keep everything true to the playwright’s words. Knowing that Josh’s father is a vicar, I wonder if that was a difficult decision for him to make. However, Josh tells me that his parents are fully supportive of everything he does and will definitely be coming to see the show. Those of you who were lucky enough to see D.N.A at The Dixon Studio last September will recognise a few familiar faces in the cast. 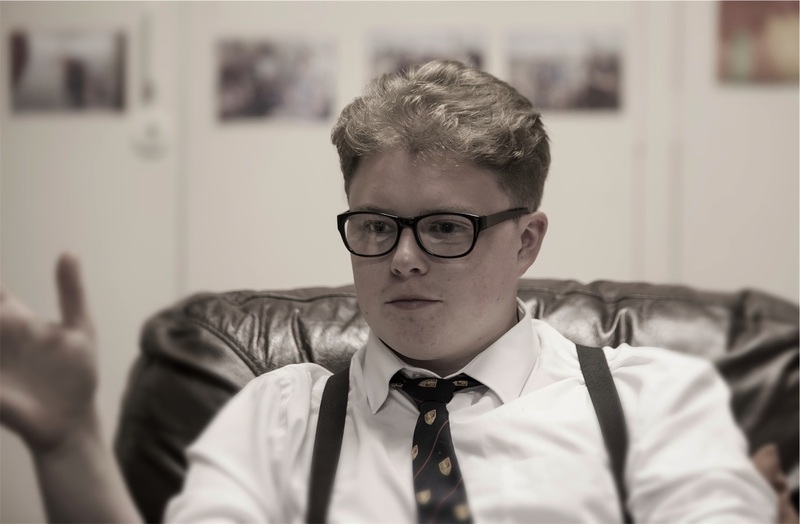 Alfie Clark is playing the lead, William, a part that he really wanted to play the minute he finished reading the script and was thrilled to be given the opportunity to play the central role. “He’s a really interesting character to explore,” he smiles. Other familiar faces are Alex Connelly and Devante Fleming who were also in D.N.A. New faces to Triple Helix but not to Southend Theatres are Jonny Buxton and Elliot Bigden who are playing Dr Richard Harvey and Chadwick Meade. Summer Kelly, Emily Graham and Alice Lane are all new faces but they have had lots of drama experience at school and college and Josh tells me that they had to beat off a lot of competition to win their parts in Punk Rock. All three are on course for a career in the theatre as Josh and Sam have been offered places at East 15 for Drama and Royal Central School for Lighting Design respectively, with Harry already studying Drama at Exeter University; and although they are all raring to start their courses and degrees, they are seemingly rather hesitant to be forced to disband Triple Helix, especially as they have another play in the pipeline which they are extremely keen to put on. In the meantime, though, they are trying not to dwell on the ‘what if's and maybe’s’ and are very much concentrating on performing Punk Rock which Josh feels is a natural progression from D.N.A. Their Friday and Saturday night performances have sold really well and there are only a handful of tickets left for these performances, however, the Saturday matinee performance offers the added bonus of being able to meet the cast and creative team for a ‘Question and Answer’ session directly after the show which will all be part of the ticket price. If you would like to see the show as well as meet the cast, don’t hesitate to get tickets now from the box office on 01702 351135 or go online to www.southendtheatres.org.uk. Please be aware though, that because of some of the content and language in the play, this production is not suitable for ages 15 and under.